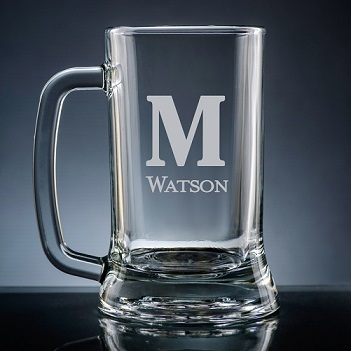 Personalize the Fortaleza Beer Mug with a single initial (in a choice of 10 font styles) and one line of text below (font as shown). The glass beer mug has a sturdy handle, holds 16 ounces of liquid, and is dishwasher-safe. 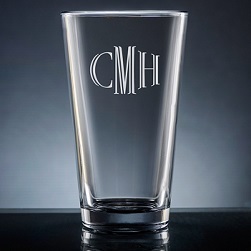 Create your unique beer mug today.